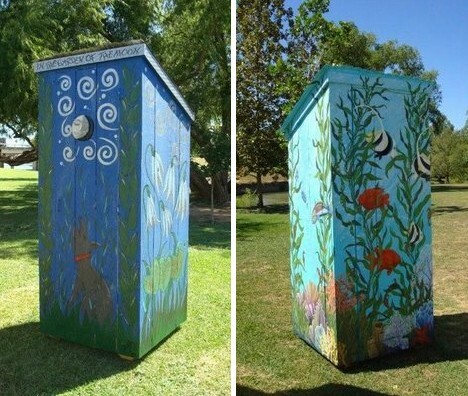 Outhouses… before the advent of indoor plumbing, these permanent porta-potties were a necessary evil whose use wasn’t an option. 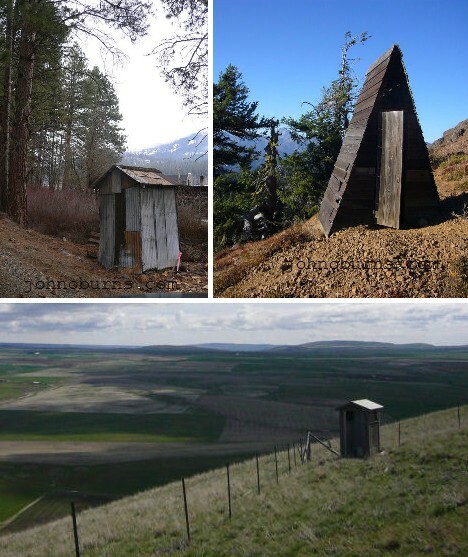 Though most outhouses in developed countries have been torn down, a rare few remain. These iconic one-room restrooms serve to remind us of those dark days when if you had to go, you had to go out first. 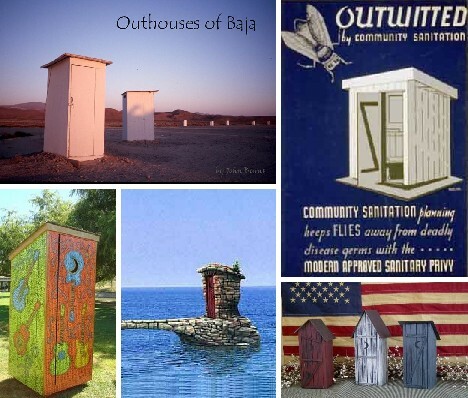 What makes an outhouse different from any other outbuilding? 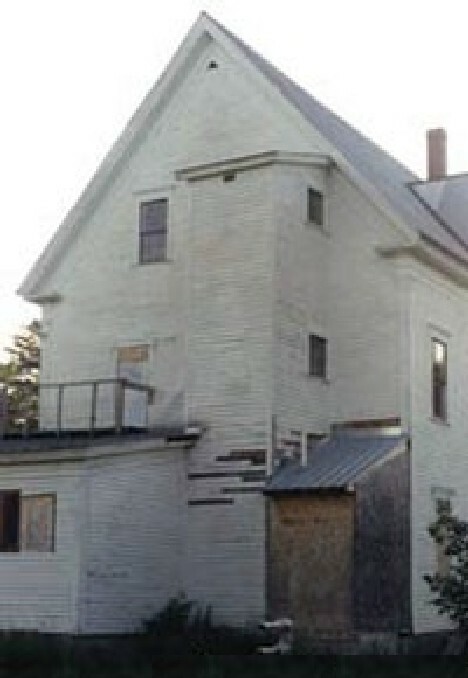 Most people would say it was the iconic crescent moon window cutout on the door. 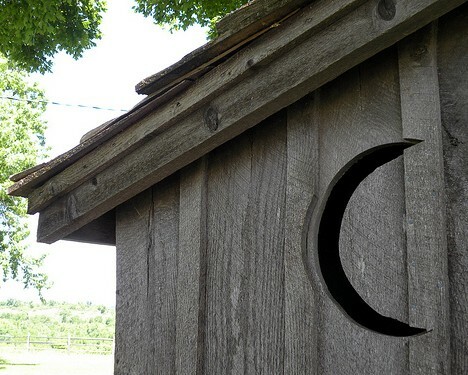 Oddly enough, the half-moon isn’t a de rigeur requirement for outhouses, nor is it especially common. Some say the style was popularized by cartoonists and comic book illustrators of the 1920s and 1930s. Others point to sun and moon symbols used to differentiate his & hers outhouses in times when most of the population was illiterate. 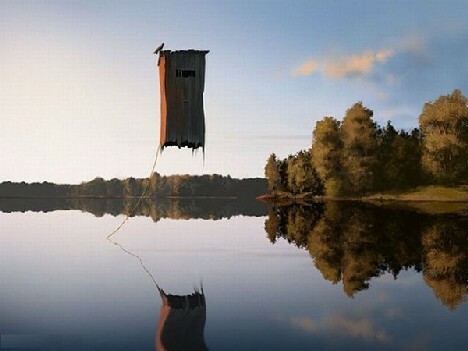 The art of the outhouse? 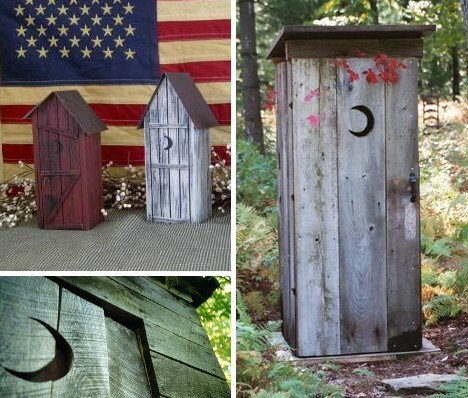 It had to happen, being as the humble outhouse has imbued itself into pop culture regardless of how many of today’s populace have ever used one. Take the Thunderbox Road art exhibit, which had a respectable run at the Menger Hotel in San Antonio, Texas, in 2009. 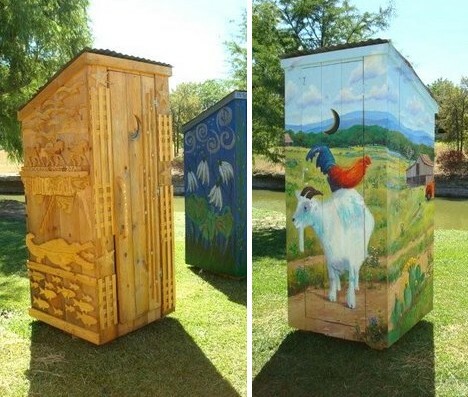 The exhibit featured a dozen outhouses embellished by a selection of Texas artists. 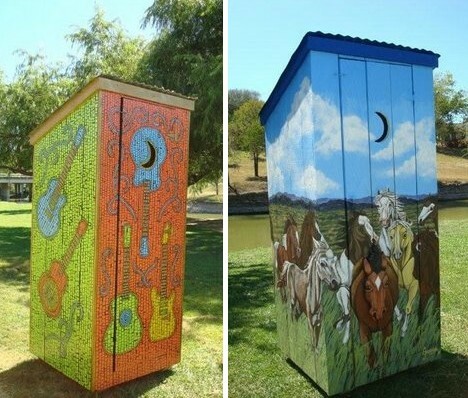 A nice tough to the tribute is that after the show’s conclusion, the outhouses were auctioned off with the proceeds donated to medical research and the Western Art Museum in Kerrville, Texas. Kudos go out to whomever designed and built the three-story outhouse attached to the Masonic Lodge in Bryant Pond, Maine. 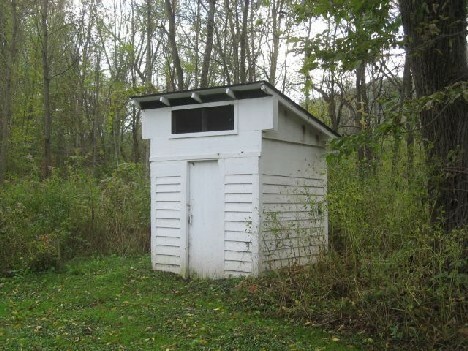 An engineering wonder of the mid-19th century, the outhouse was so effective it took until the year 2000 for the owner’s to finally install a modern flush toilet – albeit only on the lowest floor. 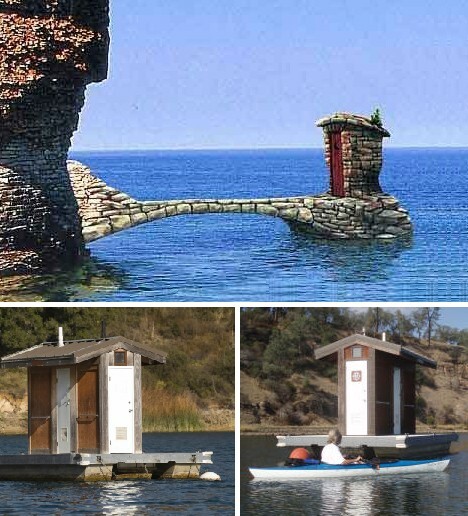 Common in third world countries with access to rivers or a seacoast, outhouses built over water would seem to be as clean and convenient as an outhouse can get – provided they’re used as little as possible. The sampling above would seem to be idyllic places to answer Mother Nature’s call… except when she’s in a bad mood (floods, hurricanes and the odd lightning strike). If you think President Obama has struggled to sell health care to the American people, you’ll find parallels with an earlier Democratic president: FDR. One of Franklin Delano Roosevelt’s initiatives under the New Deal was the WPA, or Works Progress Administration. 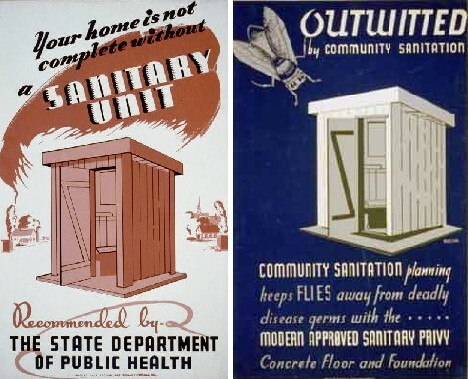 Under the WPA’s direction, thousands of unemployed victims of the Great Depression were put to work on a variety of projects including the construction of solid, reliable, two-seat outhouses in rural towns and isolated farms. 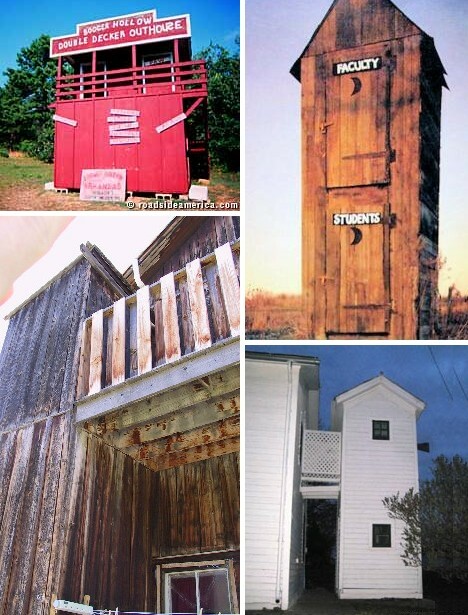 So solid was their design – not to mention their construction – that many WPA outhouses are still being used today! 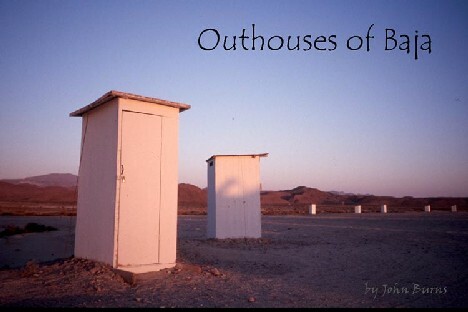 “John O Burns, Outhouse Photographer”… with a moniker like that, he’s GOT to be good. 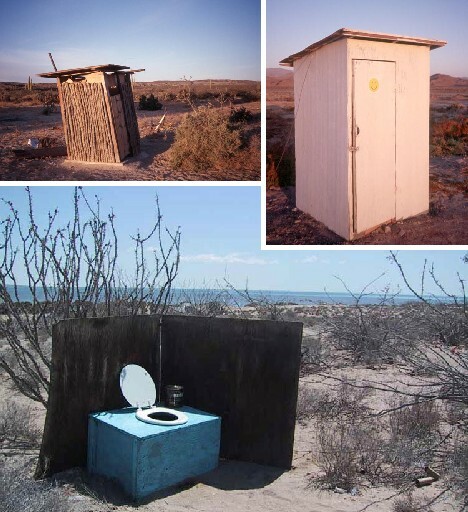 And so he is – Burns has compiled several photographic compilations of outhouses he has encountered in his travels through the American West and Baja California. 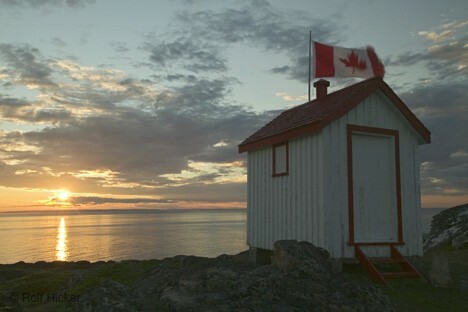 Seen through Burns’ camera lens, these lonely, wind-blasted and sand-swept outhouses take on a noble aura, certainly much more than their builders ever would have imagined. They may have a somewhat low-rent reputation but outhouses were used with no qualms by the world’s high and mighty because, well, what was the alternative? 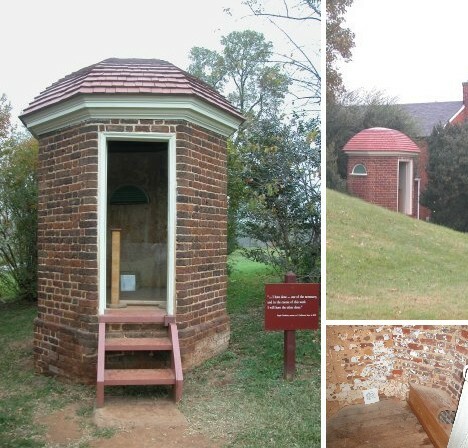 The carefully constructed brick outhouses at Thomas Jefferson’s retreat at Poplar Forest, 65 miles south of Monticello, show that even presidents answer to a higher calling: that of nature. 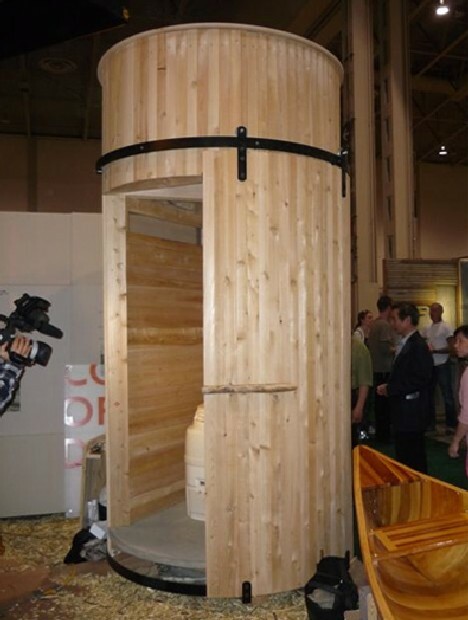 It’s said that a well-made, properly maintained outhouse is a thing of beauty. 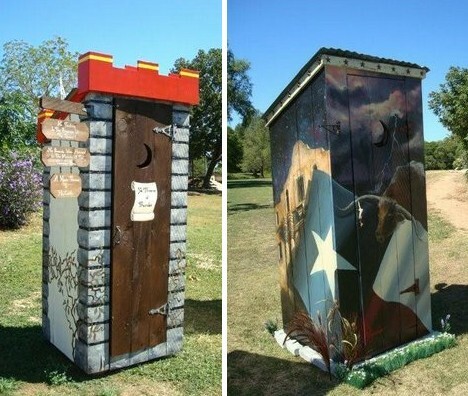 Functionally perhaps, but even the best built outhouse can still be an eyesore. Olgeir Andresson doesn’t think so and frankly either do we, at least when it comes to his matter-of-factly titled art photo entitled Outhouse In Iceland. 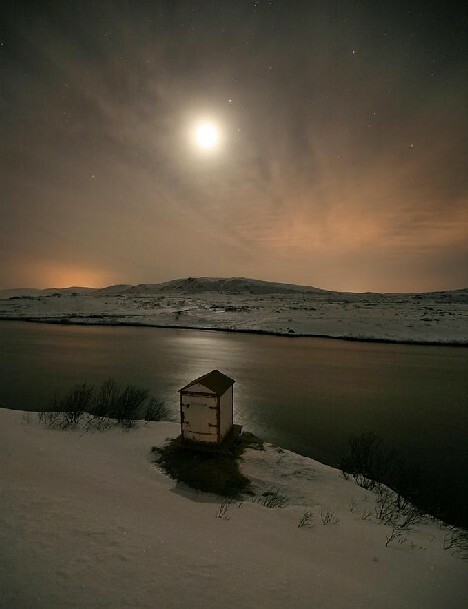 An outhouse, in Iceland, at night would not be someplace most would associate with either beauty or warmth but gazing at this exquisite image it’s hard not to feel a sense of both.